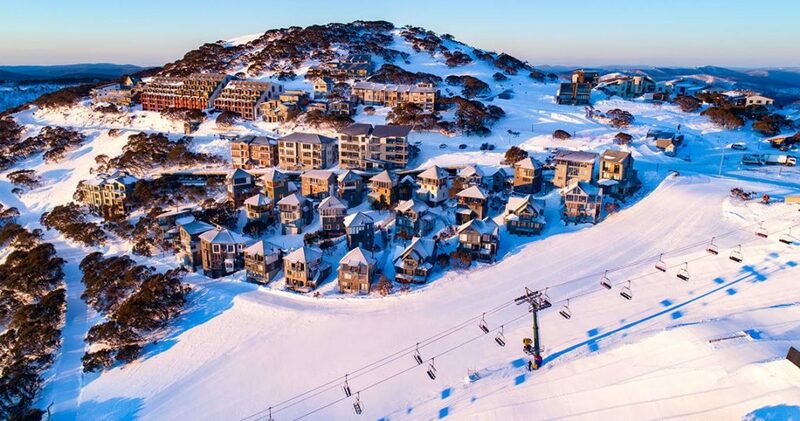 Mt Buller is located 3 hours away from Melbourne city. The facility features a selection of terrain parks that are designed to suit different skill levels.There is over 300 hectares of land on the resort that can accommodate various activities and it also provides ample space to suit all skill levels. The resort is nestled 1600 m above sea level and is surrounded by a village ,complete with amenities required for a ski tour. The village contains ski equipment hiring facilities, cafes, bars, spa, cinema, supermarkets and more. At Mount Buller Ski tours, there are various trails available from downward slopes to cross country skiing trails .The cross country trail circles around the Mt Buller village giving a thrilling nine kilometre trail.The various trails are easily accessible and they are tailored to suit different skill levels to ensure that every one ,from the experienced skier to the adventurous visitor, can get the opportunity to experience skiing in Victoria.The resort has a selection of terrains which include the Beginner green runs, intermediate blue runs, advanced black runs . The presence of different levels of skiing terrain allow customers to master their skills before moving on to advanced levels/terrains.The resort also offers various training and learning opportunities for those looking to ski for the first time or for those who are keen to hone their skiing skills.Snowboarding is also available and the respective equipment is available for renting at the local rental stores in the village. The children can also get involved in the snow fun by taking part in the exhilarating activity of tobogganing. The resort has two designated areas for tobogganing one located in the day park and the other in the village.Toboggans are also available for hire on the various rental outlets that are in the village. The Mt Buller website also contains pertinent information about hiring/purchasing the right Toboggans and rules to ensure the safety of your children at all times on the mountain. In Ski Tours, resorts also offers luxurious pampering treatments with their ‘breath taker spa retreat’. The retreat has various packages that will leave customers rejuvenated and relaxed.They have designated spa therapists to attend to your pampering needs from soothing massages, thermal water soaking and body treatments. Mount Hotham is located 357 km away from Melbourne and it is known as Australia’s highest Alpine village.The resort offers tailored activities which include skiing, hiking and other snow based activities.Falls creek ski resort is located north east of Melbourne and it offers activities aside amenities for snow based activities and living.